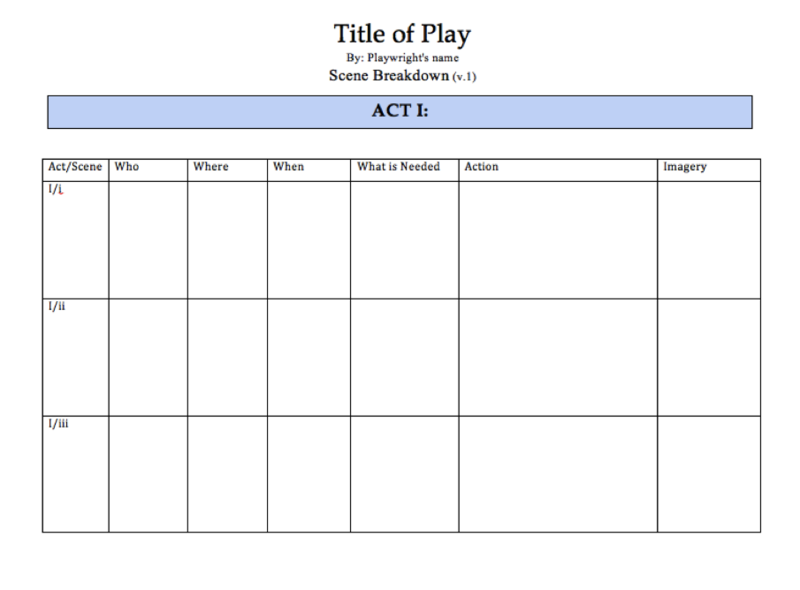 Using the form below, go through the script scene by scene and extract the required information. Format your table in LANDSCAPE mode. Remember to title the table and put your name on it! It is useful to include page numbers, as well. 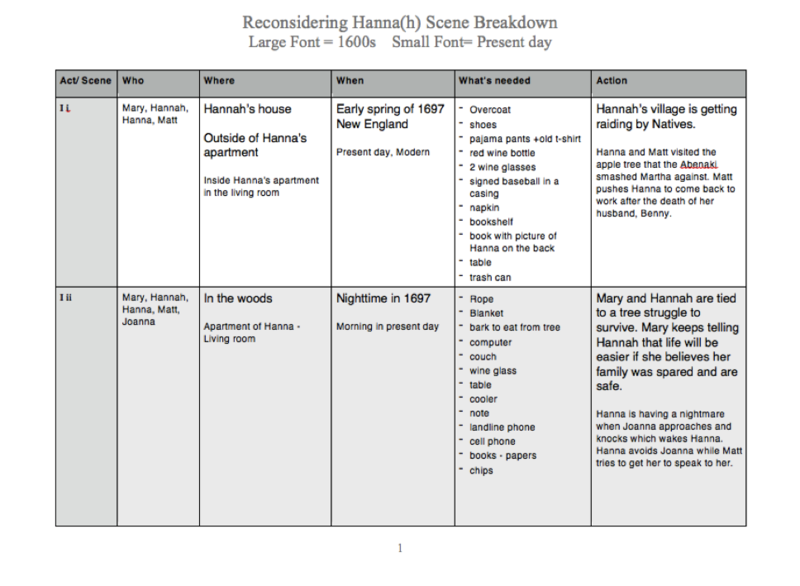 IMAGERY should mostly be drawn directly from the language of the text. Include references to stage directions if they are pertinent. For the WHEN column, it is important to establish time line: Immediately after; sometime later; next day, etc. Some scripts are are specific about this, others require some interpretation. Be careful about the WHAT IS NEEDED column: This is not just props, but includes sounds, scenic items, costume pieces, or lighting effects. Anything that is described by the playwright as being necessary to the action. In the WHO column, include characters who are not in the scene but who are mentioned. This can be done with italics or in parentheses. This information will only be in the text. You may not be used to thinking this way, but there may be characters who never appear, but are frequently mentioned, or minor characters who are referenced more than they are seen. This is important information. The ACTION should be a brief summary of everything that happens, not why it happens.